Search and book your favorite Yoga, Pilates and Fitness Classes in Australia. 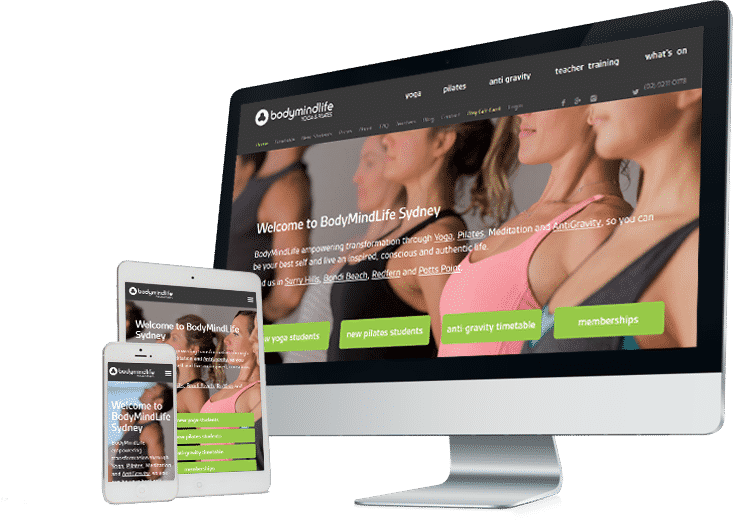 This web application is designed and developed to provide wide range of information about Yoga and Pilate’s classes in Australia. This website provide teacher’s training program of yoga and philosophy at various studio locations. Students and fitness-oriented peoples can access live timetable of classes and locations in order to book their favorite class. New students can access classes pricing plan and request schedule to the admin. New user can register while selecting into the various plans and training programs. User can buy online classes, gift card, and membership plans. User can make online payments. User can add classes in their online shopping cart. User can access several training program, trainer profiles and studio locations. User can access workshop & events organized by guest faculties. User can login/register in the website to access their account. User can access website from web & mobile browsers. User can access to Yoga & Pilates Blog and social media pages through the website. 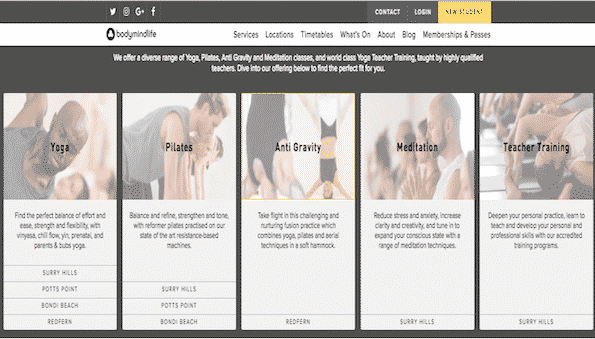 Client wanted to develop a platform that can easily provide Yoga and Pilate’s class information as well as enlist pricing, schedule and booking system. We had to organize client data and develop a user-friendly platform with robust features. Simpalm had developed this website using platform optimized approach and this Angular.JS website work on mobile and web platform as well. This website has GPS, Map, Search Classes, Booking, Packages Listing and Messaging capabilities. Don’t forget to visit our other projects as well.